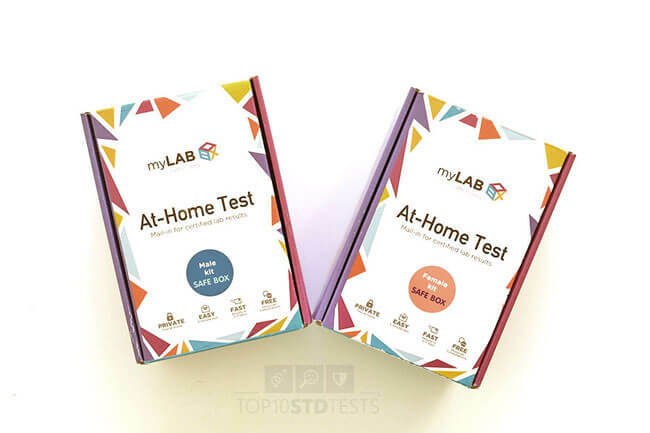 Top 10 STD Tests - myLab Box At-Home Testing Kit – What’s Inside It? 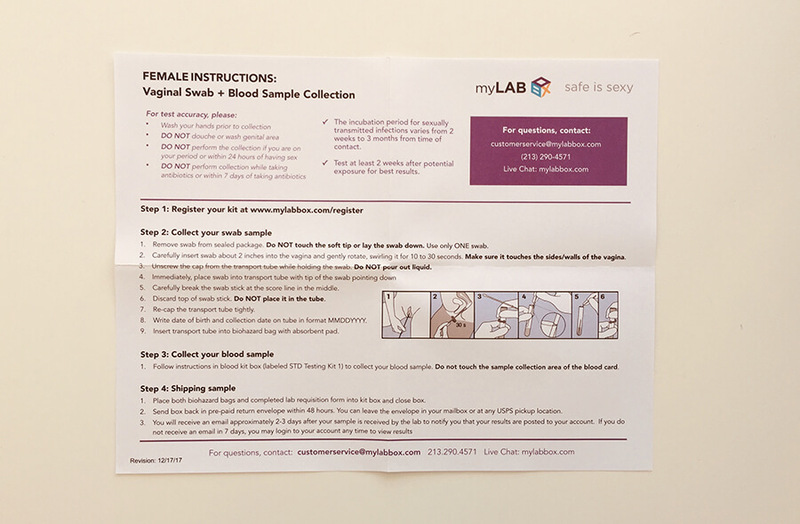 Many of our readers expressed interest in myLab Box, so in order to provide you with all the information you may need about the company’s STD testing process, we took a peek inside its 5-panel at-home std test called Safe Box. The panel screens for chlamydia, gonorrhea, HIV 1 and 2, and trichomoniasis, covering 71% of all sexually transmitted infections occurring in the United States. You can order the Safe Box in two versions, one for men and the other for women. 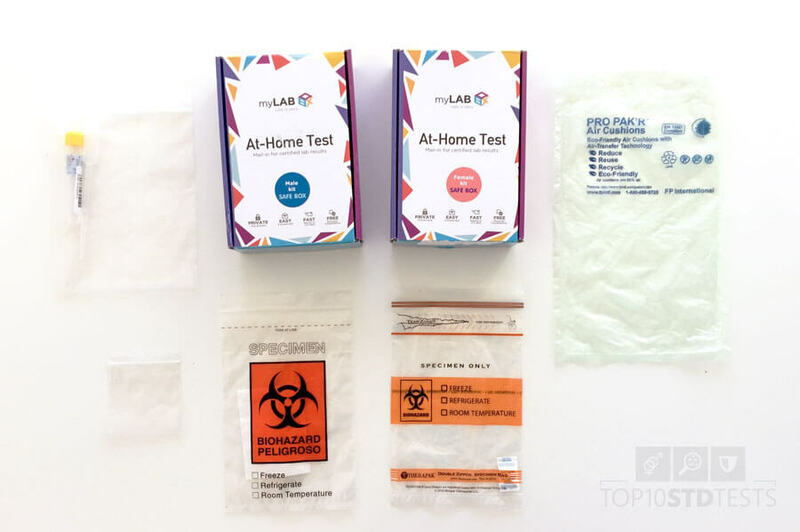 The testing kit for men collects urine and blood samples whereas the kit for women collects a urine sample and a vaginal swab. Apart from the items necessary to collect the relevant samples, the two kits are pretty similar. For both versions, the sample collection should not take more than 5 minutes. The test kits arrived at the address we specified during the ordering process in a plain cardboard box. The packaging did not contain any information about the contents of the box, so no one knew what we ordered, including the delivery service. 1 x lab requisition form. 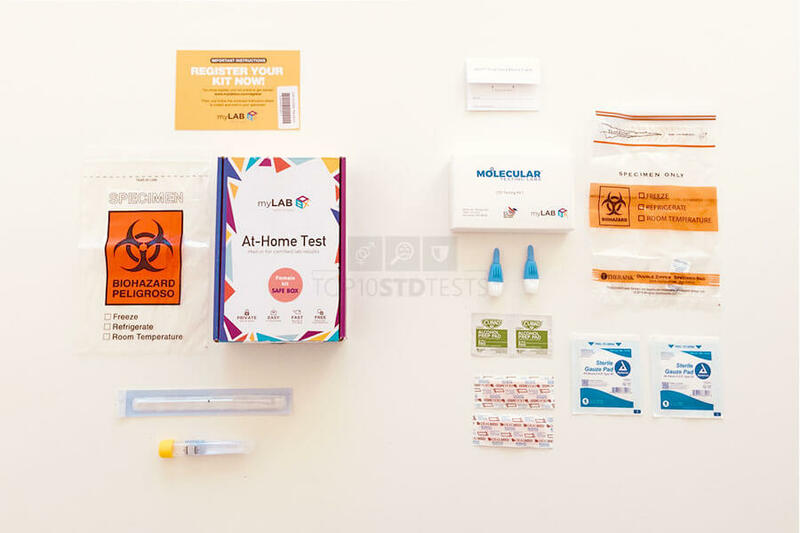 When doing an at-home STD test, it is of paramount importance that you follow all the provided instructions to the letter. If you do not follow the guidelines, your sample may end up contaminated, providing inaccurate results or resulting in test failure. 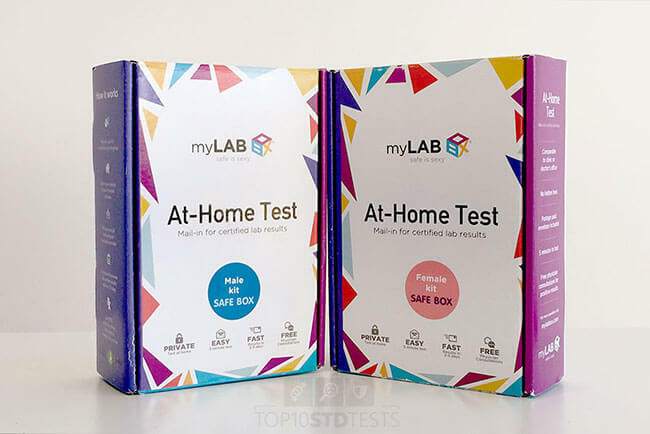 MyLab Box is a well-known at-home STD testing provider founded back in 2013 in Los Angeles, California. It is the first (and only) nationwide service of its kind, currently available in all 50 states. 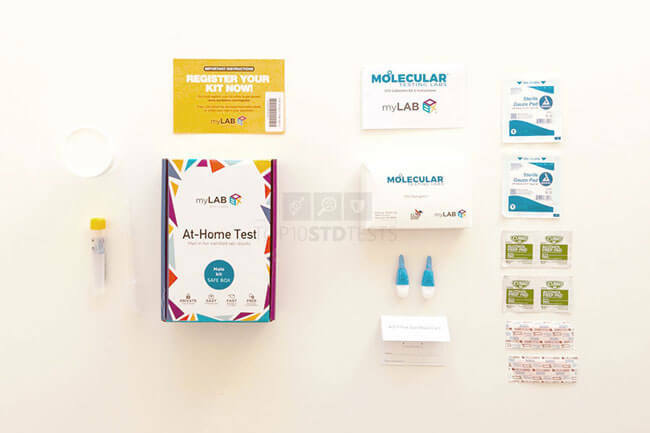 Its FDA-approved screening panels provide users with simple, affordable, and convenient STD testing options and allow them to check their sexual health from the privacy of their own homes. Apart from lab-certified test results, the company also provides free physician consultations. 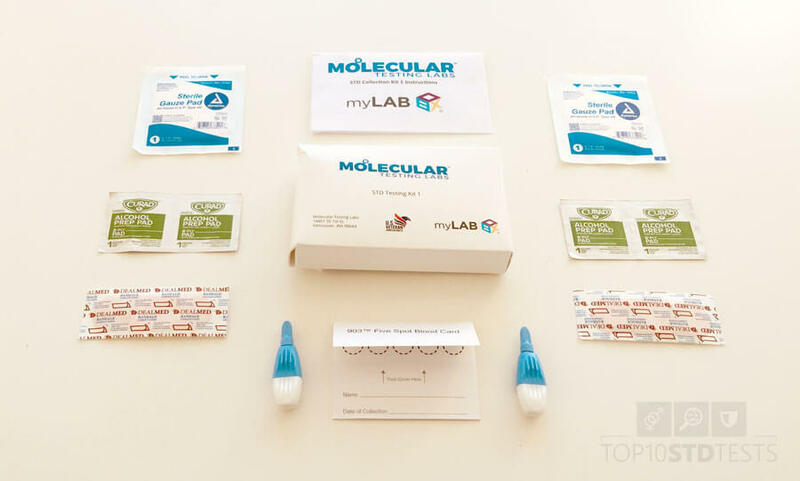 You can learn more about its service and goals in our dedicated myLab Box review.